Radio host Art Bell – whose “conspiracy theories” and interest in paranormal activity and UFOs were broadcast nightly into homes throughout America – is dead, according to the Nye County Sheriff’s Department in Nevada. “Community Announcement — Long time resident, and radio show host, Art Bell died today at 72 years old in his home in Pahrump Nevada,” the Sheriff’s Department announced on Facebook. “With an estimated 10 million listeners, Bell’s show was at the time of his retirement the most listened-to late-night radio program, and fourth overall,” ABC News reports. It remains unclear at this time what the cause of death actually was. 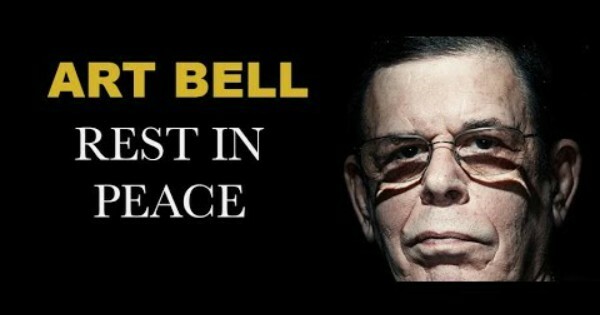 Art Bell’s smoking may be related but as yet no information has been released. Vigileaks recalls listening to Art Bell, for years, at night, when there was nothing more substantial to listen to. Later, when serious threats were made to his family, if he didn’t get off the air, Vigileaks was pulled into the behind-the-scenes investigation of the threats with a colleague who was an international sports broadcaster. Regarding the Speakership – Let’s Shake Things Up this Time AroundWhere is the Wall?